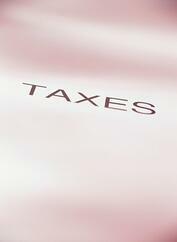 Income taxes which have met certain criteria are personably dischargeable in bankruptcy. If the IRS has filed a lien on property, however, then the lien remains unless some action is taken to void it or have it voluntarily released. If there is no equity in the liened property than the lien may be voided through a chapter 13 plan. Property subject to the lien not only includes a home and personal property, but the IRS can also attach retirement accounts. In my experience the IRS will also voluntarily release the liens after I present the bankruptcy petition to the local insolvency office along with an appraisal demonstrating that there is no equity. Of course, you could also try to wait out the expiration of the lien. If the IRS does not take any action to renew the lien, it will automatically expire ten-years from the assessment date of the tax. Often, the IRS does not pay attention to the ten-year expiration date. Note that the ten-year period starts from the assessment of the tax and not the filing of the lien. If you need bankruptcy help, contact the personal bankruptcy lawyers at Scura, Wigfield, Heyer & Stevens, LLP today.